I love a good tutorial and know just how much work goes into making one. Its only fair all that effort gets its due. Thus, the Steal this Idea* series was born . Today's tutorial is from Janell of Isabella and Max Rooms who crafted a beautifully dramatic starbust mirror from a few easy to find materials. Anyone who has even looked at a design blog this century has seen the starbust mirror everywhere. Its completely ubitiquous for good reason - its has a timeless shape and adds drama in an accessible way. There are lots of other starburst DIY's in the blogosphere but what I really liked about Janell's version is that its really huge! Whats the point of a wimpy starburst anyway? (One of my biggest decor pet peeves is too small art on the wall!! Come on people, scale is everything!) Add that to the fact its incredibly cheap and easy to make, we have a winner. Love it. You can see the whole step by step on Janell's blog here. great job. i like the idea of twigs..i used kabob sticks...but yours has a bit of added jazz...love it. I have those sticks in my master, and love them. Oh I loved this DIY project by Janell! Well, this and all of the other DIY projects she has done! And you are so right about the scale aspect of the mirrors. What I like about hers is that the console below it has to be between 59-64" long. That means that mirror is a really nice size! Don't mind if I do "borrow" it! I'm not a fan of the starburst mirrors, but this is lovely! I've never see twigs, glue gun, and a mirror look so good. Well done as always, Janell! Let's get twiggy with it! Love it. Another great weekend project. I love this tutorial. Janell is very talented. Can't wait to see what she does next. I love the mirror and will love your new series! Completely stunning ! I loved this project, I'm a HUGE fan of Janell's blog! I could not agree more with the importance of scale in wall decor. I was an art installer and too small and too high things on a wall drive me nuts. Outstanding! Thanks for sharing another great blog. She is so creative. Love this! i love this... will add it to my friday links... enjoy the weekend! Dayum that Janell. She is just....THAT good! Love this...wanna try it! What a beautiful focal point-the mirror makes the space-love the "borrowing" idea-Janell is a real talent! Just beautiful. I love this project. It's beautiful and dramatic! The things you can do with a glue gun... I don't know how people crafted and decorated before the glue gun! Everything Janell turns out great! I love her blog and go figure I love this mirror! Holy crap! That is TOTALLY AWESOME!!!!! This is soooo cool! Love it! How did I miss this post??! I've been wanting to make a starburst mirror for a long time. Need to get on it already! LOVE it!!! Thanks for sharing this. i just love this! it looks store bought! I'm so stealing this idea! Just came to your blog for the first time via Matthew Meade Holiday and I love it! Looking forward to exploring! I just found your blog, and I am really loving it! That is stunning! Cheap. Crafty. Stunning. How do feel about it in gold? mmm? Thanks so much for sharing this. I had not followed her blog and am glad to now. Also I was looking for a way to make a starburst mirror and this is the best one I have seen! I found you through Punctuation Mark. She shared this link on her links post, and I was so incredibly impressed with your inventive DIY!  It's one of my dreams to own a renovated Brooklyn brownstone- you're living it! Can't wait to catch up on your blog! This looks great! Thanks for sharing. This is the best starburst DIY I've seen too. I think Janell did a great job with this twig mirror too! That girl is so talented. Creative mirror. Great Idea. Well, According to me,Light yellow colour also would be look good. Anyway, I appreciate your idea and talent. Thank you very much for sharing it. I am so, so, so in love! We have a wonderful starburst clock that we just inherited from my grandmother. It needs a new look, and this post is inspiration to get me started! OOO~ I love that! So gorgeous!!! I love this! I have been scouring the internet for mirrors like this and the ones that I like are expensive. I am going to make this in the next few day and will spray paint it metallic gold. I can't wait. Thank you so much for sharing this.